On July 4th, Legislator Anker attended the annual Village of Shoreham Independence Day parade and celebration. Suffolk Legislator Sarah Anker with Brookhaven Councilwoman Jane Bonner and the Village of Shoreham. Shoreham, NY - July 9, 2018 - On Wednesday, July 4th, Suffolk County Legislator Sarah Anker joined Town of Brookhaven Councilwoman Jane Bonner and the Village of Shoreham at its annual Independence Day celebration. The holiday began with a parade through the village and included festivities that lasted throughout the day. Following the parade and ceremony, there was a celebration at the Village Hall that included patriotic music by a band and Village musicians, a speech by the mayor, and hotdogs and ice cream. For more information about the Village of Shoreham, please visit www.villageofshoreham.org. 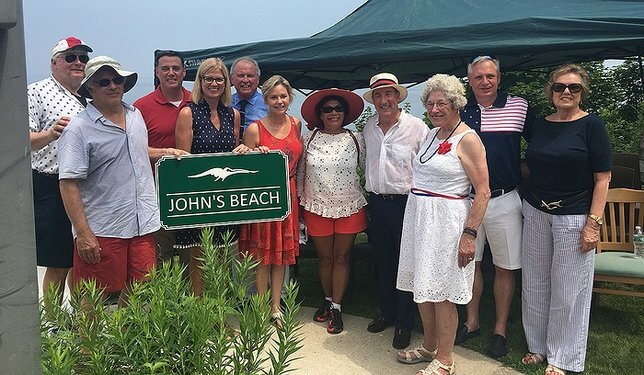 Subject: LongIsland.com - Your Name sent you Article details of "Legislator Anker Celebrates Independence Day with the Village of Shoreham"